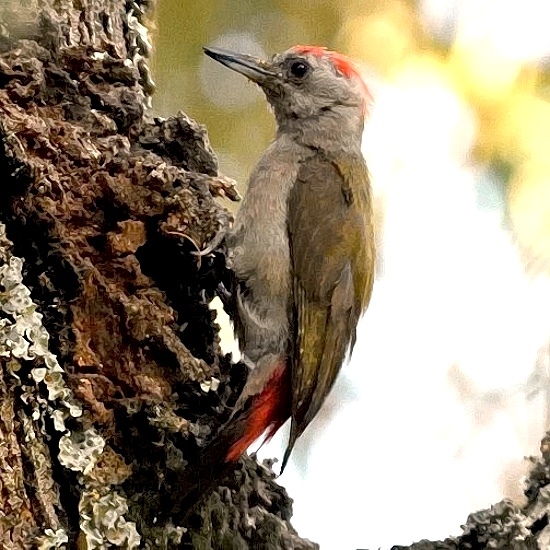 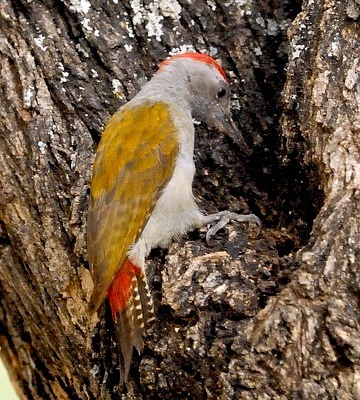 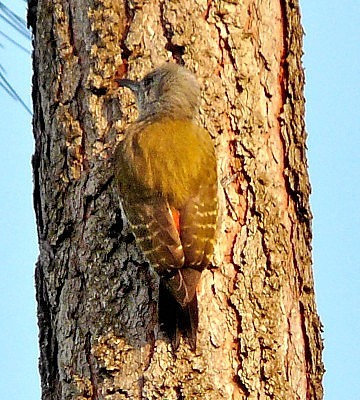 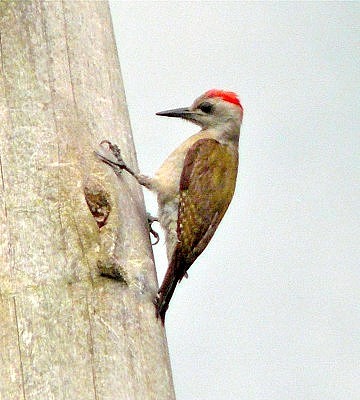 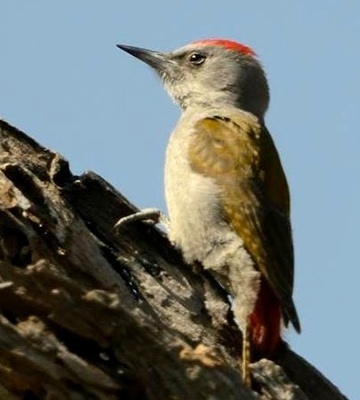 The grey woodpecker differs from the grey-headed woodpecker by having no, or a small, red belly patch (click Next Alphabetical to see the grey-headed woodpecker). 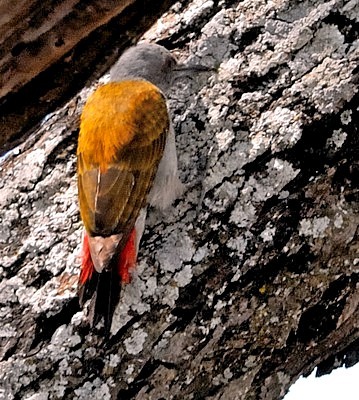 The female (left upper) was photographed in Bukoba, courtesy of Jenny Clark and the male (right upper), also in Bukoba, courtesy of Steve Clark. 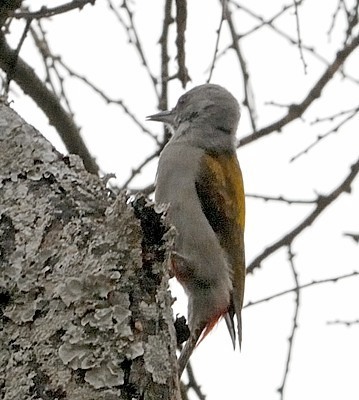 The pair in the middle photos was seen in Tarangire (5-10); the left 3rd row, in Silale (6-12); and the right 3rd row (Seronera, 4-14) and bottom (Bukoba, 7-16), both courtesy of Per Holmen.